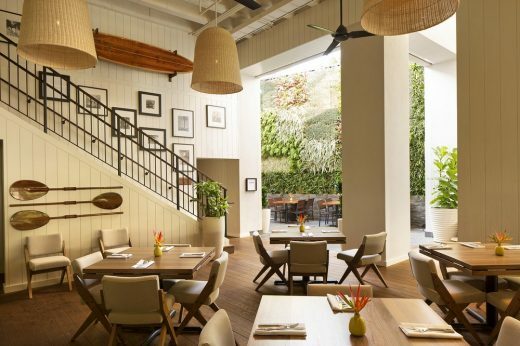 A stunning new retail and dining space has just opened on Oahu’s southern shore. Tommy Bahama Honolulu Restaurant Bar & Store chose the vibrant beachfront neighbourhood of Waikiki as the location for their newest opening. Designed by Oz Architects, the property brings the outside in with natural materials and Kebony wood used throughout. The property, split across three levels, was described as “the most elaborate we’ve ever built” by Tommy Bahama’s Executive Vice President of marketing, Rob Goldberg. 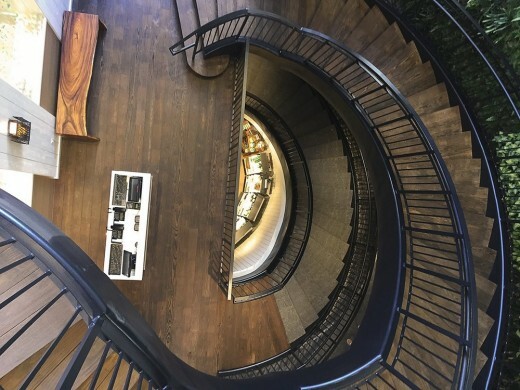 Kebony was used throughout the restaurant and rooftop lounge – an area of 15,000 square feet – and the property’s centrepiece spiral staircase, which joins the second and third floors, was exquisitely crafted with Kebony. 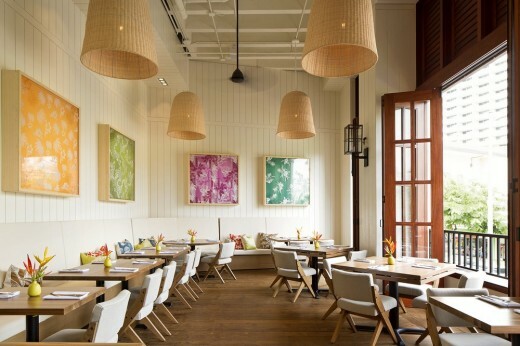 The interior draws inspiration from local design, with an emphasis placed on beautifully crafted wooden furnishings. 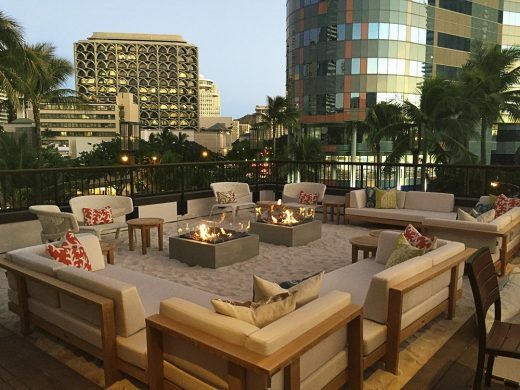 Tommy Bahama engaged North Shore-based artists Jen Homcy and Laurent Pool of Foundwood & Monkeypod Creations to create a 14-foot table for the private dining room, as well as all the tables for the roof terrace. Using reclaimed mango and mahogany wood for these pieces, the furniture echoes the warm, natural aesthetic created with the Kebony flooring. 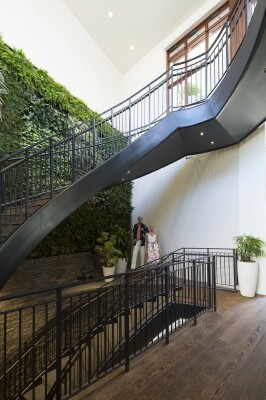 Environmental impact was a key concern of Tommy Bahama in the design of the project, which made Kebony, the sustainable alternative to tropical hardwood, the perfect choice. Kebony has the durability, hardness and dimensional stability of tropical hardwood whilst being environmentally friendly. Kebony’s technology modifies sustainable softwood to give it more strength and stability – thus it can provide a top quality building material while still being sourced and manufactured sustainably. Kebony’s durability and beautiful appearance were also of great importance to the project. Thanks to the Kebony technology treatment the flooring will stand up to the Hawaiian heat. 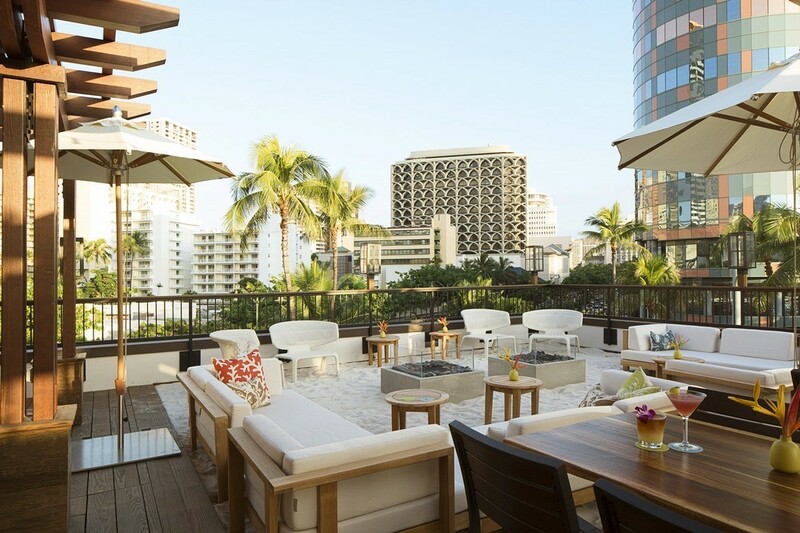 Oahu’s tropical showers were a consideration in the carefully curated aesthetic of the rooftop bar; exposure to rain will create a natural silver-grey patina on the wood without affecting the structural integrity of the flooring. The Kebony technology changes the structure of the wood to give it premium hardwood characteristics, and there is no maintenance needed beyond normal cleaning.